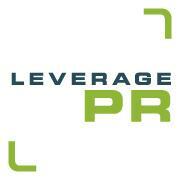 Leverage Public Relations supports the needs of professional, corporate, not-for-profit and public sector organisations. Our particular strengths include media liaison, issues and crisis management, strategic problem-solving and community consultation. The consultancy has access to a well-established network of specialist resources to assist with communication and relationship-management needs to deliver outstanding results for clients. The month-long partnership with Epilepsy Australia that will see five dollars from every purple coloured MedicAlert medical ID sold during March donated to the organisation dedicated to helping Australians living with epilepsy, has started very positively. MedicAlert Foundation CEO, Sandra Turner, says it is pleasing to be able to support a fellow not-for-profit organisation and help to raise funds for Epilepsy Australia so it can continue to provide education, information and assistance to Australians living with epilepsy. “This is a way that lets our members play a role in helping to raise funds for a worthy cause by buying one of our new purple coloured medical IDs during the month of March,” Ms Turner said. “More than 400,000 Australians are believed to have epilepsy, and rather than focus our support just on the 26th March for Purple Day, we wanted to dedicate the entire month to encouraging people to wear a purple Medical ID and help spread the word about epilepsy,” she said. Ms Turner says the response from members so far this month has been extremely positive. As part of its service to members, Australia Medic Alert Foundation provides a 24/7 hotline where emergency service personnel and healthcare professionals can access important additional medical and other details quickly and efficiently in a time of need. For over 40 years, Australia Medic Alert Foundation has been the nation’s only not-for-profit organisation providing a 24/7 personal medical emergency information and identification service with close to 300,000 members joining since 1971.